On June 18, 1815, one of the most important battles of the modern era took place outside the sleepy Belgian village of Waterloo. Over the weekend, for the battle’s 200th anniversary, 5000 members of various military reenactment groups from all over the world converged on the original battlefield to pay tribute. Belgian photojournalist Olivier Papegnies was there, and took these stunning photos. You can see a lot more of them here. 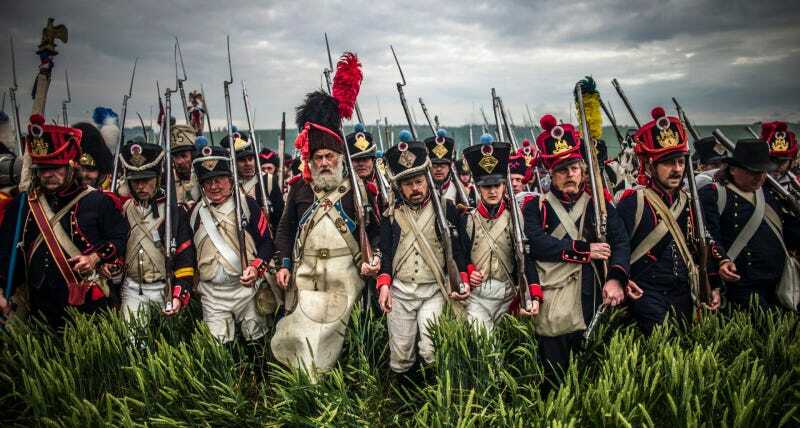 Waterloo was also the subject of one of the coolest movies ever made: I wrote a thing about it a few months back.